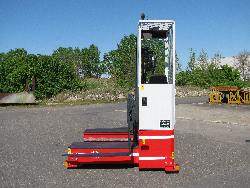 Very Narrow Aisle sideloading forklift built to suit your application. 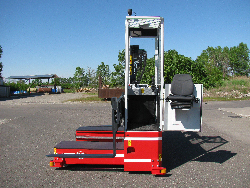 As can be seen the primarily the operator cab determines the aisle size. Available as a 4D or multi-directional vehicle. 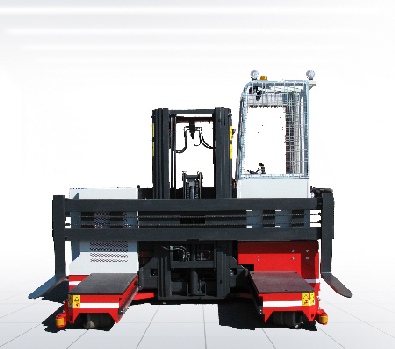 Designed primarily for indoor use handling long loads safely in very narrow storage aisles.